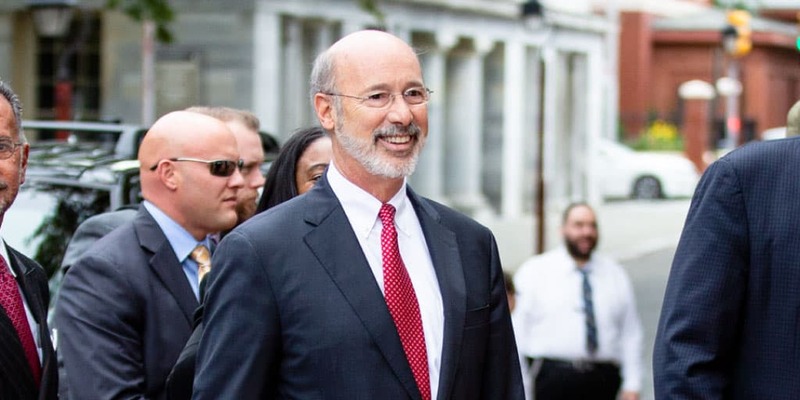 To achieve these goals, Governor Wolf is announcing a major new infrastructure initiative, Restore Pennsylvania, funded by the monetization of a commonsense severance tax. Restore Pennsylvania will invest $4.5 billion over the next four-years in significant, high-impact projects throughout the commonwealth to help catapult Pennsylvania ahead of every state in the country in terms of technology, development, and infrastructure. Restore Pennsylvania will provide funding for infrastructure that helps build manufacturing facilities and other downstream businesses for the natural gas produced in Pennsylvania while helping businesses and individuals use more of Pennsylvania’s natural gas in their homes, creating jobs, lowering costs, and improving energy efficiency. Restore Pennsylvania will provide increased spending flexibility to ensure that more communities and businesses across the state have access to low-cost, clean-burning natural gas. Restore Pennsylvania will also provide grants to help downstream businesses install combined heat and power and micro-grid systems at existing or new facilities. Restore Pennsylvania will provide funding for local road upgrades, create new flexible funding options for businesses that need local infrastructure upgrades to enable development projects, and multimodal and large-scale capital projects for transit. Restore Pennsylvania will accelerate progress of projects to resurface, repave and repair four-digit roads and provide technical assistance and funding for dirt and gravel roads throughout the state. Restore Pennsylvania will create a flexible funding tool to enable capacity upgrades needed to support development where Transportation Infrastructure Investment Funds are not available. Restore Pennsylvania will support new capital projects at public transit capital projects throughout the state. Many members of the legislature recognize the need to invest in communities across Pennsylvania. View the full plan here.